Remember the Betty Boop Diner I blogged about almost four years ago? It was apparently supposed to be the flagship location of a chain of ’em. 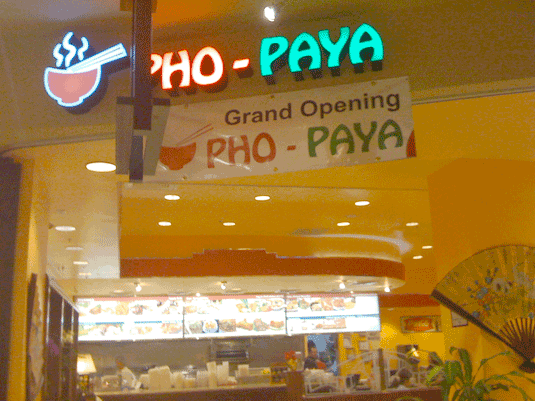 But expansion stalled after two locations that I know of–the one in Union Square which I wrote about, and one in the Serramonte Mall in Daly City, a couple of exits down 280 from my house. But the cool thing is, they haven’t completely redecorated. 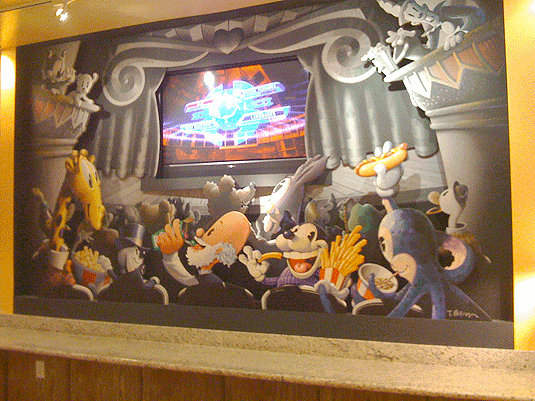 One wall is still dominated by an amazing 3D diorama by T. Peterson of a theater full of Betty’s friends–Grampy, Bimbo, Koko, Pudgy, and others. They used to watch Boop cartoons on the TV embedded in the display; I’m not sure what it shows now.